Why not natural silver diamonds set in sterling silver? 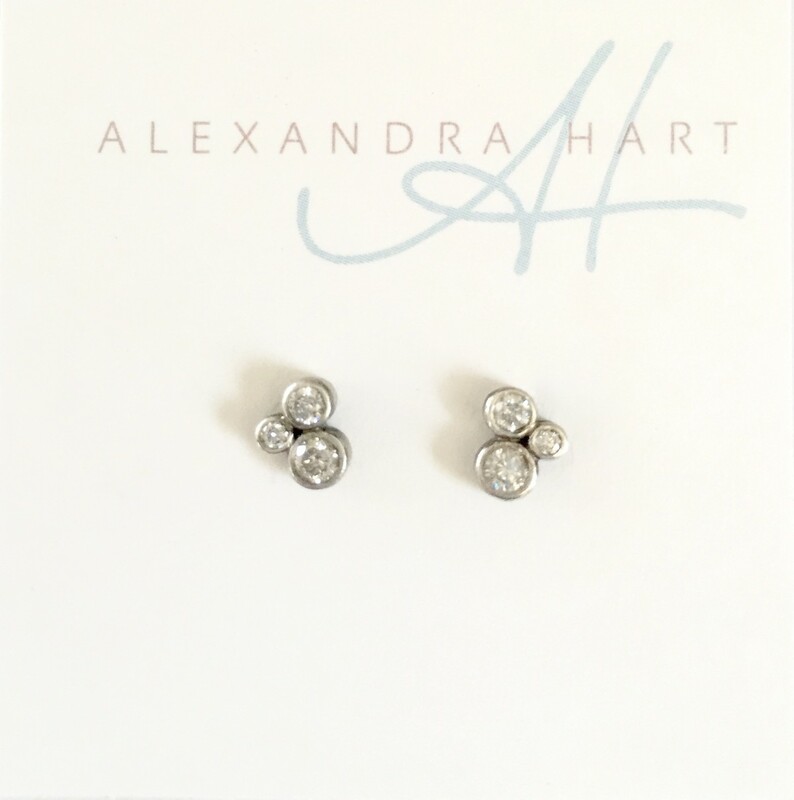 These 3 tapering sizes in a cluster make a delicate, classic-but-contemporary pair of stud earrings. As always, 100% recycled silver and responsibly mined Australian diamonds.